Here it is, 335 pages of color packed photos, and detialed information, on the greatest muscle car ever. The Pontiac GTO is a true legend, born during a time when GM car brands were each unique in their own way. The brain chile of Jim Wangers, and pushed thru the red tape machine by John DeLorean, this car set the streets of america on fire with style, performance, and stories still told to this very day. 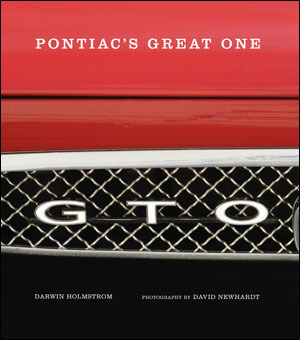 This book will give hours of entertainment to any GTO owner, or GTO fan. (I drove one in high school, and am still remembered for it! editor) LOW QUANTITIES ON THIS ITEM, ORDER NOW!!! !